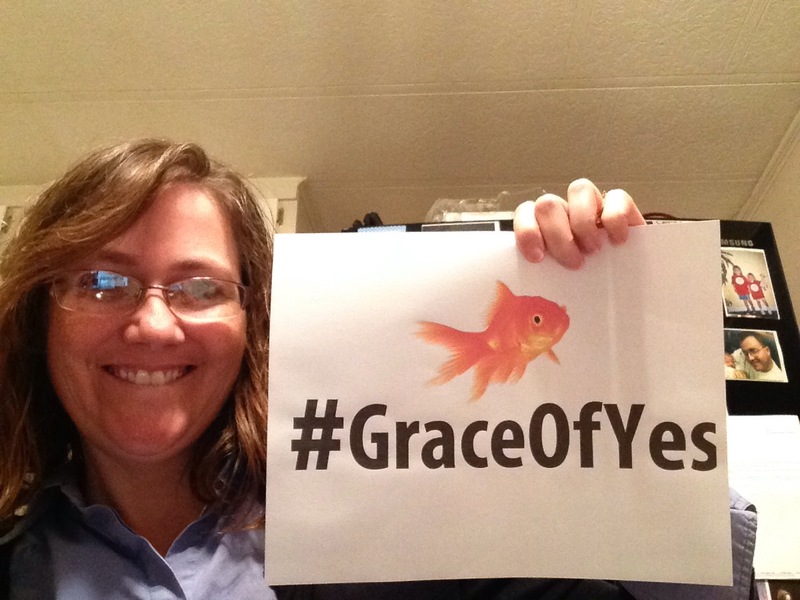 Here we are, at the final chapter of Lisa Hendey’s wonderful book, The Grace of Yes! 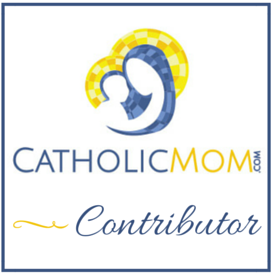 If you’re interested in the entire series of posts, mine are located here, and you can find the entire list of posts at CatholicMom.com here. The final step in saying “yes” to God’s plan for our lives is allowing that to give us a moment of rebirth — a chance to rededicate ourselves to Him and turn our wills over to God’s will for our lives. Because we are human (read: fallen), this is a daily decision we must make. 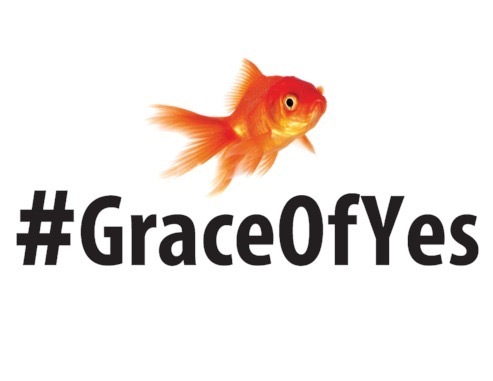 Each day, we must try to be reborn and renew our yes to the Lord. Lisa talks in this chapter about using an app and wearable health device to measure her steps, sleep, and even her caloric intake. She has a daily goal of 10,000 steps and makes an effort to hit it, even if it means walking around the cul-de-sac after dinner! This is the kind of daily dedication that our yes to God should look like, too. I don’t have a Fit Bit, but I do have my Nike running app, and I know about having to renew my dedication to being healthy. Once the time change happened, I suddenly realized how difficult it was going to be to keep up with running now that it got dark by 5 PM. It’s hard to take time out of or homeschooling schedule to go for a run, and it’s impossible to run while the girls are at their evening activities because it’s dark outside! (I don’t have a running headlamp, and the greenway paths all close at dusk.) It’s become more of an effort to get out and run now that winter is here. I hadn’t run for 3 weeks when I went out last Sunday, and it was a real struggle to run 2 miles! I have to build my strength up again so I can get back to that 5K and then move beyond it. Just like my running, my spiritual path must be filled with a continued rededication to my yes to God. I can’t just tell Jesus I love Him once and be done with it; each and every day, I need to renew my commitment to Him. As a Catholic, I achieve this through the Sacraments, prayer, and a decision to live my vocation each day by doing it a little better than the day before. And, just like running, when I fall off the path, I have to work to get back to where I was before. I have to make the effort to pray again when I’ve been “too busy” (or, sometimes, just too depressed) to do so. I have to build back to being comfortable with the little bit that’s asked of me as a Lay Dominican. into a world filled with political and religious strife. and by foreign emissaries who journeyed to him led by the light of a star. That his glory was made known by an itinerant preacher clothed in camel’s hair. That he gathered to himself a ragtag band of followers rather than well-known religious leaders of his time. That he paused at every turn to care for the ill, the demon-possessed, and known sinners. that he knowingly marched toward his condemnation for sins he had not committed. That he bore the weight of my sins on the cross, dying a horrific death so that each of us might have life forever. That he rose from the grave, offering us the same promise of an eternity spent forever in God’s presence. That he loves me, just as I am. None of that is a straight-line kind of path, and neither will our own lives, or our own “yes” to God. It’s good to remember the old adage: God writes straight with crooked paths. ° Have you experienced moments of rebirth in your life? What did you take from these experiences? I have experienced moments like these. I see them as the times when I’m struggling in my faith and going through dry periods where I can’t seem to connect to God the way I always have, with gratitude and love in my heart. I wind up going through periods more and more often where I have little-to-no consolations, and where I struggle with my vocation and doubt that I’m doing it well. As my girls get older, it happens more and more, and it’s times like this where I just try to hold on tight and keep going. Sometimes, right as things feel the darkest, I’m given a bit of a shot in the arm, so to speak, where I suddenly realize that it’s all okay. I feel spiritually renewed and I feel the connection to God that hasn’t been lost, but had just grown so comfortable that I didn’t notice it any longer. When this happens, when the consolation comes, it gives me strength to face the challenges inherent in being a wife, mother, and homeschooler. It helps me stand up to the pressure put on me (both by myself and the expectations of others). My faith swells up inside of me, and I become full-to-bursting with love of God! ° Name a few of your life’s goals, including the most outlandish, unlikely, or even seemingly laughable. Aside from finishing the education of my children, I’d like to become a published author. I actually have been working on and off on a book, and had the idea for a second book (fiction!) come to me in the early hours of morning. I’d like to finish the first book in the coming year, and work steadily on the second book to see where the story goes.